A Downtown Tradition, The Orlando Farmer's Market is the perfect way to spend your Sunday. The Walk to Cure Arthritis is where we become ONE, rising up to fight this life-altering disease. Where we join hand in hand to celebrate Arthritis Warriors and raise crucial funds for innovative research, resources, and a cure! Come to the Great Rotary Swan Boat Race at Lake Eola Band Shell on Thursday, May 16, 5:00, and bring new or nearly new used books for kids up to 12th grade! Don’t have books? Cash contributions gratefully accepted by 'A Gift For Teaching'. Get ready for the International Food and Drink Festival, the biggest and finest culinary event in Orlando! Free admission and parking for the public. Live music, entertainment, eating contests, prizes and more! Get ready for the biggest and finest culinary event in Orlando! Last year more than 8,000 people attended the IFDF. 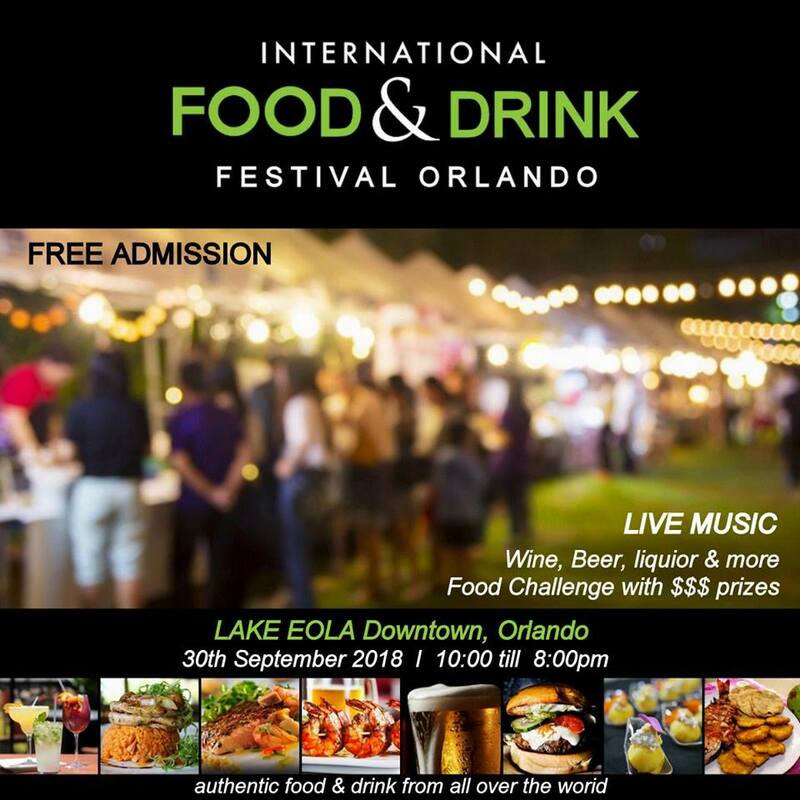 The International Food & Drink Festival 2018, is now coming on Sunday September 30th 2018 at Lake Eola in the beautiful downtown Orlando, FL. Free admission and parking for the public. Live music, entertainment, eating contests, prizes and more! Enjoy authentic traditional cuisine from countries from all over the world! Beer, wine, food and drinks from Puerto Rico, Colombia, Italy, Spain, Chile, Peru, Cuba, Dominican Republic, Middle Eastern, India, USA, Venezuela, Thailand and more. Sunday September 30th from 10am to 8pm! Yes, the event is kid friendly.